Microsoft has confirmed the price of it's Surface Pro laptop/tablet hybrid has been cut by around 10 per cent in several territories around the world, until August 29. 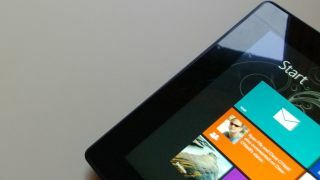 The highly-rated Windows 8 device is $100 (around £60, AU$112) cheaper in the United States and Canada, while the RRP has also been trimmed in China, Hong Kong and Taiwan has also been reduced. The price cut, which appears to be temporary for the time being, applies to the 64GB and 128GB models. So far it doesn't appear the price cut will be applied to other regions, including the UK and Australia. However, the device has only been on sale in many of these regions since May. The Surface Pro price cut follows a significant trim of the Surface RT model around the world last month, with Microsoft bidding to cut its losses on the largely unpopular slate. Company CEO Steve Ballmer admitted Microsoft had overstated the appetite for the Surface RT and built too many, amid reports the company took a $900m hit on the project. Microsoft confirmed its Surface Pro price cut was inspired by the success of the Surface RT "promotions." "We've been seeing great worldwide success with Surface RT pricing and keyboard-cover promotions over the past several months and are proud to offer Surface Pro at more affordable prices starting today." The Surface Pro overall was a much more well-received device, critically and commercially, so the price cuts may not be around for long. Now, who's ready for a Microsoft Surface Pro 2?